This wheel brace made by SCHRÖDER in Wuppertal accepts bits up to 6 mm (1/4 inch). 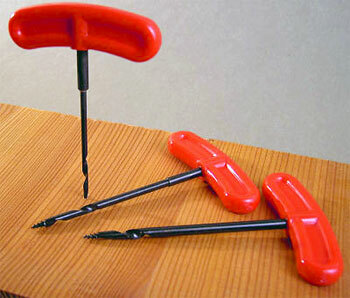 Extremely useful for small jobs. Overall length 235 mm, handle made of wood. Suitable for the wheelbrace listed above! At this point we previously offered suitable wood twist drill bits for this wheelbrace. Then a woodworker passed on a hint that using metal drill bits when drilling in wood with this brace was less problematic and delivered better results than if one used wood twist drill bits. We tested this idea and found it had a lot of merit. 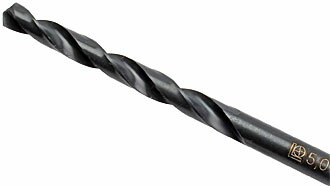 The wood twist drill bits jammed more frequently and required greater physical effort. 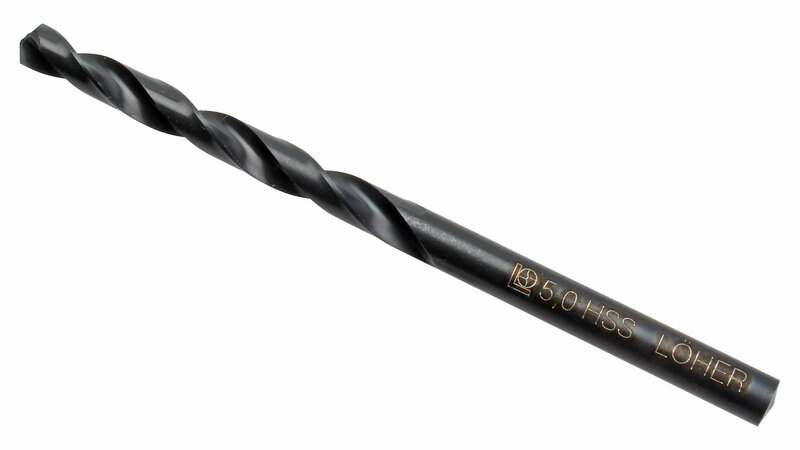 Moreover, metal drill bits result in fewer injuries than wood twist drill bits with their spurs and centring point. Trials with various drill bit diameters also prompted us to narrow down the recommended size range. We recommend drill bit diameters between 2.5 and 5 mm, smaller or larger drill bit diameters might be just too much for children to handle. We source the metal drill bits offered here from Löher in Remscheid, Germany. These handy and quick-working gimlets are made in Japan. 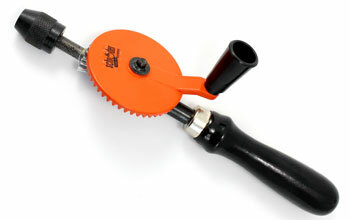 The central screw and the wide handle makes controlling these drills almost child's play. 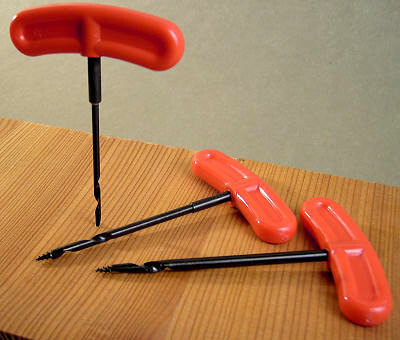 They can also be very useful for adults: they cut fast, require no power, and are compact enough to fit one or two into the smallest tool kits. They come with plastic grip. Small Japanese Brace "Kuri Kuri"
It is hard to believe how quickly and precisely this small brace cuts. It has an overall length of 225 mm, and takes 6.35 mm (1/4 inch) hexagonal bits. There are five different wood drills (drilling depth 32 mm, 1-1/8 inch) in 3, 4, 5, 6, and 8 mm, along with two slightly conical pilot drills in 3 and 6 mm. Look at other photos and a size comparison with a normal-sized brace. Other drill bits with a 6.35 mm hexagonal shaft.